The Content Management industry has seen a few top players emerge as clear leaders. Their proven track records and longevity set them apart from the lesser tools that have fallen by the wayside. We have worked to bring together several online sources to show how these top players in the industry compare to each other. We plan on updating this report regularly, and we are pleased to present this first edition as a digital download available here. We have pulled data from the Gartner Magic Quadrant for CMS, the Forrester Wave Report for CMS, and other online reviews, including Gary Eisenstein's "Fair Review" on CMS Connected. 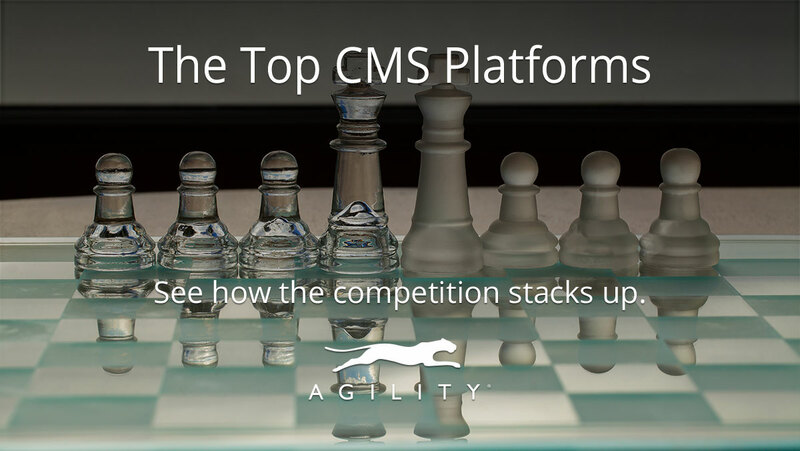 It doesn't really matter if you're looking at the top The Top 10 CMS Platforms, Top 5, Top 100 - whatever. At some point, you need to narrow things down and get right to the details that actually matter. When we look at the state of the industry, we've started to really look closely at how adaptable and versatile each system is as a complete solution to help you build your business.